This rejuvenated classic features one half carats of round diamonds, all shimmering in 14k white gold. 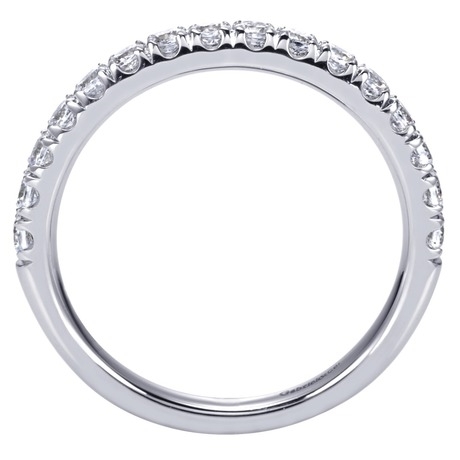 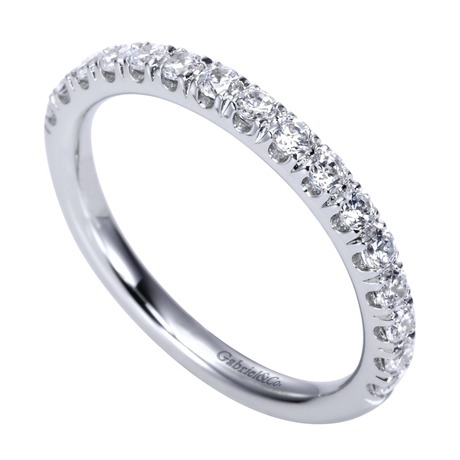 Enjoy this 14k white gold diamond wedding band now and forever! 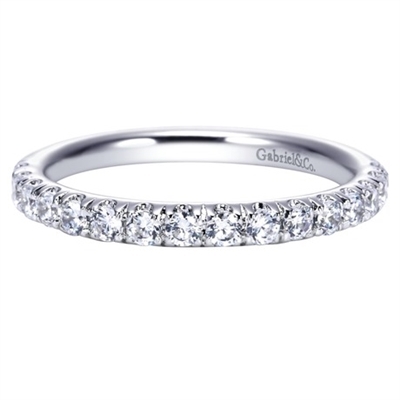 Round brilliant diamonds line up to wrap 3/4 of the way around shimmering white gold in this diamond wedding band with over one half carat of diamond brilliance.